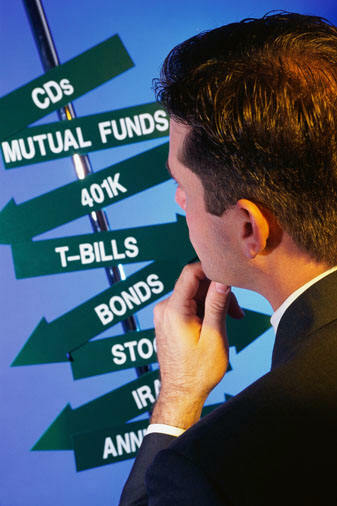 We use the same approach for our brokerage, 401K and other retirement accounts as well. Again we turn to our colleagues and friends for some tips. The discussions regarding our risk appetite and the kind of return that we expect, gives us some comfort. Now all these sound like sensible things to do, right? Not quiet. There’s big flaw with this kind of investment approach. The problem is that we are looking at an investment in isolation. We’re simply chasing returns without understanding the risk. Either we are totally risk averse or we end up taking too much risk. We all know what happened to the retirement and other savings during tech meltdown. Most of the folks had put in as much as 80% in stocks. Same thing happened during the real estate (in US) boom of early 2000, people were putting all of their savings in investment properties. The pain of previous two stock market meltdowns might be a distant memory but we are still underwater as far as the real estate is concerned. The latest craze is gold. Who wants to sit on cash when you can get far better return in stocks, real estate or gold? Yet history shows again and again, what goes up…does eventually come down. The unique feature of any bubble is that nobody knows when it is going to bust. So don’t feel bad about missing out on previous decade’s gold run or the recent rally in stock markets. So let’s start with this miracle process. It is not that difficult but the rewards are big. Not only will this take care of our financially needs but will also stand against the test of time. This entry was posted in Get Rich and tagged financial plan, Investments, Learning, personal finance, Portfolio on February 25, 2012 by admin. And which source(s) would one consult in order to learn the principles of sound investing? These are the least boring 🙂 and cover all aspects of investing.